Even if you don’t recognise the name Robert Kiyosaki, chances are you know the name of his book: Rich Dad, Poor Dad. With more than 26-million copies sold, the book has helped shape the financial attitudes of people around the globe and helped Kiyosaki spawn a multi-million-dollar writing and public speaking empire. Born in Hawaii in the years following World War II, Kiyosaki’s series of books has been translated into 51 languages and is available in 109 countries. Rich Dad, Poor Dad is based on Kiyosaki’s own experiences growing up and highlights the different attitudes to money, work, and life of two men (i.e. his titular “rich dad” and “poor dad”), and how they in turn influenced key decisions in Kiyosaki’s life. Known for simplifying complex concepts and ideas related to business, investing, finance, and economics, Kiyosaki is a major advocate for financial education. More specifically, he believes that schools should be transformed to place emphasis on comprehensive financial literacy concepts. 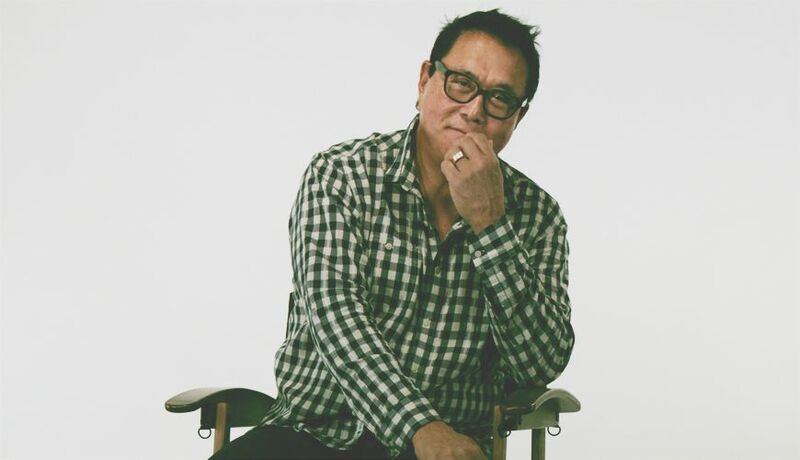 In the run up to his appearance at the recent National Achievers Congress, Engage Me got the chance to interview Kiyosaki on the rationale behind this emphasis on financial education, the importance of mentorship, and allowing employees to be entrepreneurial. Engage Me: Anyone who’s read Rich Dad, Poor Dad knows that it revolves around the experiences of your biological father and your friend Mike’s father, who taught you the fundamentals of investment. How important is that kind of mentorship for fostering passion? Learning by doing, experiencing. Whether he was having us work in his store for free, learning the lessons of Monopoly, visiting his businesses and properties, or sitting in on his meetings with his advisors, rich dad taught by doing. When you find a mentor who has succeeded in doing what you want to do, the relationship and learning opportunities are limitless. The interaction and engagement — and accountability — of mentorship are other reasons why it is such a successful way to learn and grow. Experiential learning is also why I am a huge advocate of game play. Here’s a shameless pitch for my CASHFLOW game: Games reflect true behaviour and Kim [Kiyosaki’s wife] and I created the CASHFLOW game to let people experience not only the ins and outs of investing (with play money!) but setting your sights on your dreams. Games give us the opportunity to experience things, try different strategies, and test our tolerances and boundaries… all at no risk. And the lessons are too many to count! EM: At what point did your passion shift from investment to educating people about investment? RK: From a very young age, I’ve had an interest in money—the role it plays in our lives (like it or not…) and why we weren’t taught about money in school. From a young age, my rich dad put ‘investing’ on my radar screen… in the sense that his focus, in his business building and investing, was on assets. Investing in assets that deliver a passive income. My real dad, my poor dad, was a teacher and administrator within the school system in Hawaii and placed a high value on education, especially traditional education. I, too, believe in the power of education and have always invested in myself… via personal development courses, reading, seminars, and educational opportunities of all kinds. I think my focus on “teaching” came when I realised that one of my gifts is the ability to take complex and confusing concepts and simplify them. This certainly applies to money and investing and accounting. I have seen the power of education and its ability to change lives. And because we’re taught so little about money in school, I saw this as a void I could fill… with the simple, common-sense philosophies about money that my rich dad taught me. EM: We live in an age where entrepreneurs are deified and people are told to follow their passions. Do you think those two things are always compatible? RK: They certainly can be. And in today’s high-tech world, the playing field is more ‘level’ than ever before. Entrepreneurs see the future—and find ways to shape and create it. Without a doubt, it’s entrepreneurs who follow their passions and create the life of their dreams. EM: Do you think that enough people understand that following your passion sometimes involves doing things you don’t like? RK: Probably not. It’s been said that ‘if you do what you love, you’ll never work a day in your life.’ I do believe that we should follow the path that we’re passionate about. And that we should use the gifts and talents that we’ve been given… to do the work we were put on this earth to do. That said, sometimes the path to “following our passion” has some detours and speed bumps and road blocks—all those things that can take us off track and could, in many cases, mean we might find ourselves doing things we don’t like. The real test, I think, of tenacity and strength, is how (and how well) we respond to the challenges and obstacles that life throws at us. Do we grit our teeth and soldier on? Or do we whine and complain, make excuses, and take our eye off the ball? Or do we throw in the towel on “living our dream” and give up? The final analysis is often less about the obstacles we encounter—because there will always be obstacles and challenges—and more about how we respond to them. Strength, resilience, and a commitment to living our dreams doing what we’re passionate about can shape our future. EM: There’s a sense that a growing number of people aren’t interested in building up large reserves of wealth, preferring to pare down and simplify their lives. How does that sit within your framework? RK: I think it comes down to an individual’s definition of ‘wealth.’ Having lots of “stuff” or keeping up with the Joneses, as they say, isn’t for everyone. We advocate a focus on assets — buying them or building them — over income and while a “simplified life” may be great, there will always be ongoing expenses that a person needs to plan for and take responsibility for. It’s my opinion that each person must choose the life and lifestyle that suits him or her best… determine what the ‘life of their dreams’ looks like and then put a plan together that will support that. A simple life can be a wonderful life but, given factors like a turbulent global economy and ever-rising costs of healthcare, it’s prudent to plan for your financial future and a rich life—however you define it. EM: Do you try to foster a sense of entrepreneurship among the people who work for you? (at Rich Dad and in other educational pursuits) into action in their own lives. The Rich Dad Company is an entrepreneurial success story and we encourage our employees to look for ways to put capitalism and the free markets of the world to work for them. We expect that they will be responsible and disciplined in regard to their commitments and responsibilities related to the work they do for Rich Dad, but Kim and I and our leadership team at The Rich Dad Company could not be more supportive of the entrepreneurial spirit.